Laura and Charlotte are sisters who love telling stories, but Charlotte has bumped her head and lost some of her memories. Laura is determined to help charlotte to re-live memories with new people they meet. Riding their rickshaw bike with their memory collection on the back, the girls are keen to meet new people and make new memories with them. 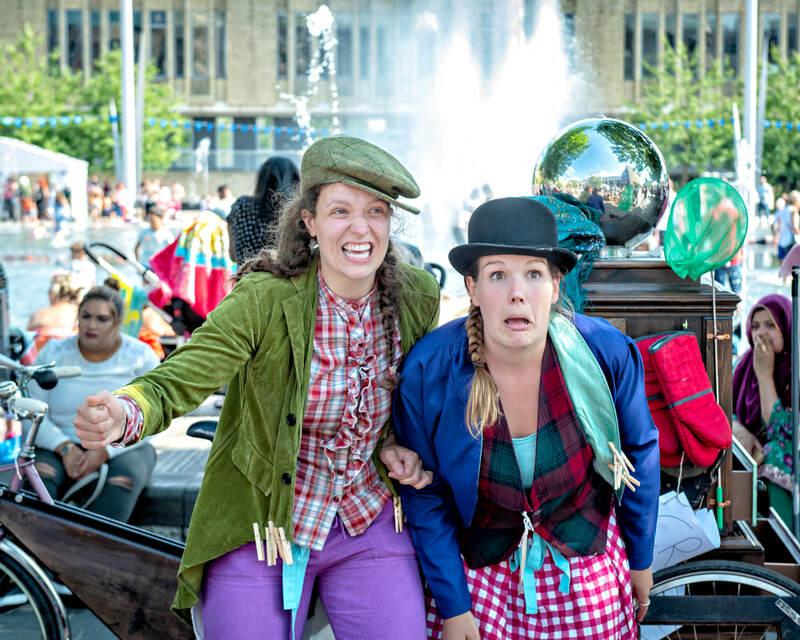 Join us for physical storytelling and interactive theatre, with these two colourful and engaging characters. Perfect for family audiences. Come and remember how to live in the moment. 2 x 30 minute shows per day. Memory Collectors was funded by Bradford Festival and Arts Council England July 2018. The show is taking bookings for future festivals. For further information please get in touch.